Does your investment approach have you in the dark? 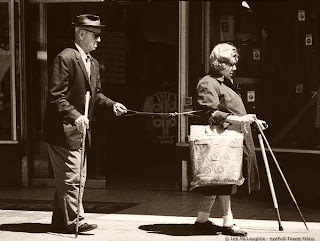 Feel like having an advisor or portfolio manager is like the blind leading the blind? Maybe it is time to take control of your portfolio with a systematic approach. I have talked a lot about various strategies for systematic trendfollowing and mean reversion on World Beta. In “Time to Put Money to Work” we examined what happens after really bad months in asset classes. What were the key take-aways? – It does not pay to buy an asset class after a really bad month for the following 1 month. – 12 Months later the return is not much different than average. – 3 and 6 month returns, however, are stronger. You pick up on average about 3-4% abnormal returns buying after a terrible month. That annualizes to about 10% per annum. After an asset class has a terrible month (ie MSCI EAFE in January), wait a month then take a 2 month position. i.e. buy March 1 with a two month hold. Investors could simply overweight a position or use options. That post performed nicely. 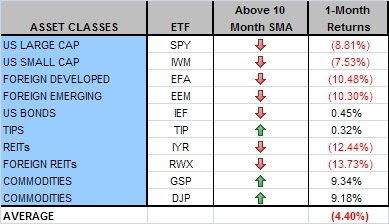 Buying March 1 with two month hold (using the iShares EFA), I show a return of 5.9%, and foreign emerging (EEM) would have done about 5%, and foreign REITs (RWX), would have done about 4.9%.